The Holocaust Educational Foundation of Northwestern University (HEF of NU) and The Ray Wolpow Institute for the Study of the Holocaust, Genocide, and Crimes against Humanity at Western Washington University, are pleased to announce the first Regional Institute for the Study of the Holocaust. The inaugural Institute will be held on the campus of Western Washington University, May 10-12, 2019. HEF of NU is dedicated to advancing Holocaust education at the university level around the country and around the world. For 23 years, HEF of NU has offered a two-week Summer Institute on the Holocaust and Jewish Civilization. The Regional Holocaust Institute offers an opportunity for scholars new to HEF of NU, as well as those who have previously attended the Summer Institute, to expand their knowledge of the Holocaust. The Institute will focus on new topics in the field, cutting-edge research, and pedagogical practices. Like the Summer Institute, the Regional Institute brings outstanding scholars with expertise in particular topics and practices to serve as faculty and create an environment conducive to high-level learning and discussion. Established in 2016, The Ray Wolpow Institute for the Study of the Holocaust, Genocide, and Crimes Against Humanity at Western Washington University advances knowledge about the Holocaust and genocide, including ethnic and religious conflict as well as attendant human rights abuses. A leading public comprehensive university in the Pacific Northwest, WWU is located in the coastal town of Bellingham, Washington. The Inaugural Regional Institute is taught by leading scholars in History, Musicology, and German Studies. 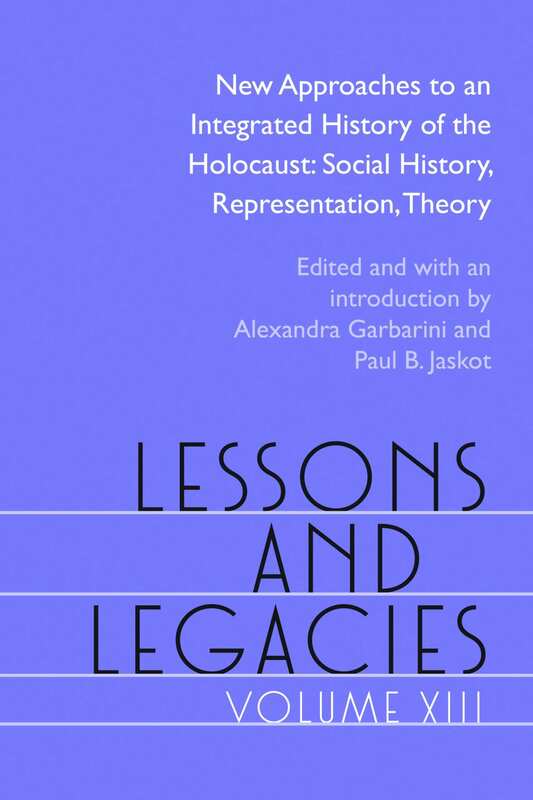 Topics center on themes related to teaching the Holocaust in the global age with a particular emphasis on the following: Antisemitism, Holocaust Education across the Curriculum, Holocaust Memorialization in Europe, Musical Witness and Holocaust Representation, the Mediterranean Jewish Experience during the Holocaust, and Queer Theory and Gender. Faculty are: Professors Sandra Alfers, Sarah Cushman, Beth Griech-Polelle, Devin Naar, Amy Wlodarski, and Sarah Zarrow. Faculty from the Northwest region of the United States (Idaho, Oregon, Montana, Washington) or the Southwest region of Canada (British Columbia, Alberta) who currently teach about the Holocaust or who plan to create a course about the Holocaust within two years of the Institute are particularly encouraged to apply for a Regional Holocaust Institute Fellowship. In this opening session, we will explore how interactive, independent, and cooperative learning in the second language and culture undergraduate classroom (commonly referred to in Second-Language Acquisition as L2) can be applied to courses on the Holocaust across the curriculum in the first language (L1). “The real challenge in college teaching is not covering the materials for the students; it is uncovering the material with the students” (Smith, Shepard, and Johnson). Thus, we will focus on the how of teaching the Holocaust and engage participants in a conversation on best practices across the curriculum. This seminar will offer hands-on examples of cooperative learning projects that have succeeded in content-based L1 and L2 courses, and ideas for project development and assessment. This seminar will explore how music functioned as a form of testimonial witness both during and after the Holocaust. Participants will encounter relevant literature that helps to situate music within the diverse traumatic soundscapes of the genocide and its aftermath. Topics for discussion will include: What are “earwitnesses” and of what value are they historically? What humanistic narratives can music tell us about the Holocaust? How does the aesthetic experience of music impact empathetic learning in the classroom? What are the benefits and drawbacks of using music as a memorial symbol and pedagogical resource? This seminar will consider recent memorial projects in Europe, focusing on Eastern Europe. We will consider a possible typology for Holocaust memorials, and examine examples of collaboration and conflict between states and citizens in memorialization efforts. The second half of the seminar will be an opportunity to discuss teaching aspects of the Holocaust using memorials and to design assignments using memorials. Although usually understood as a “European” event, the Holocaust also resulted in the deaths of tens of thousands of Sephardic Jews born in the predominantly Muslim world of the Ottoman Empire (e.g., today’s Greece). Grappling with the particularities of their experiences compels us to expand the scope of the Holocaust into the eastern Mediterranean and to recognize the interconnections between the rise of Hitler’s empire and the making of the modern Middle East. In this session, we will be discussing the long history of anti-Semitic language and how the development of stereotypes and myths about the Jews contributed to an “us versus them” mentality that allowed many average people to participate, collaborate, or remain apathetic in the face of discrimination, persecution, and violence perpetrated against the Jews of Europe. We will also have an opportunity to engage in conversation on best practices and to share teaching ideas and materials. In Holocaust Studies, “Gender” is often conflated with “women,” and sexuality is rarely studied at all. Here, we will broaden the concept of gender, think about and discuss masculinities and femininities regarding perpetrators and victims, and whether and how sexuality figures in various gender constructions. We will explore the persecution of gender minorities, as well as sexual violence and sexual barter, and discuss how to approach these topics critically and sensitively.